dedicated to serving nonprofit animal rescues and municipal shelters. We strive to build personal relationships with our partners and to provide affordable and quality care for the homeless animals in Dallas/Fort Worth and surrounding areas. Looking to help? We are always in need of fosters, volunteers, and donations! Mazie’s Mission has a multi-tiered approach to animal welfare. Our primary focus is the rescue hospital. We are the only veterinary clinic of it's kind in the country, serving only pets in the rescue system. We do not see privately owned pets. The rest of Mazie's mission includes our community outreach programs, our rescue program, and our forensic veterinary medicine division. We want to do everything in our power to help the underserved, homeless, and abused pets in our area. We started The Mission by rescuing as many special needs animals as we could, cured them, and placed them in forever homes. These animals were extremely ill pets or animals destined for euthanasia. In January, 2014 we opened the very first non-profit veterinary clinic that serves rescue organizations only. The Mission desires to lease this facility short term while we are looking for appropriate land to build the permanent facility. We need ~10 acres to build an ‘Animal Headquarters’ that will become synonymous with animal welfare. We hope the clinic will fund land purchase. Once the land has been secured, donations will help build a clinic and holding facilities for the animals. Dr. Shults will continue to serve rescues only. We would be thrilled if this was wildly successful and other vets in other large cities followed suit. If we can make vet care much cheaper for rescues, then they will rescue more animals, then the euthanasia rate will decrease. Dr. Shults is training in Veterinary Forensics so that we can be a driving force in puppy mill seizures, animal cruelty/neglect cases, and hoarding situations. She hopes to aid prosecutors and law enforcement in bringing justice to the innocent. During her years in private practice, she saw rescue organizations struggling to stay afloat, often not able to pay for care even if they desperately wanted to. She also saw many owners requesting euthanasia instead of treating the animals in need of care. Dr. Shults truly began to feel she needed to move away from private practice and concentrate on homeless animals. 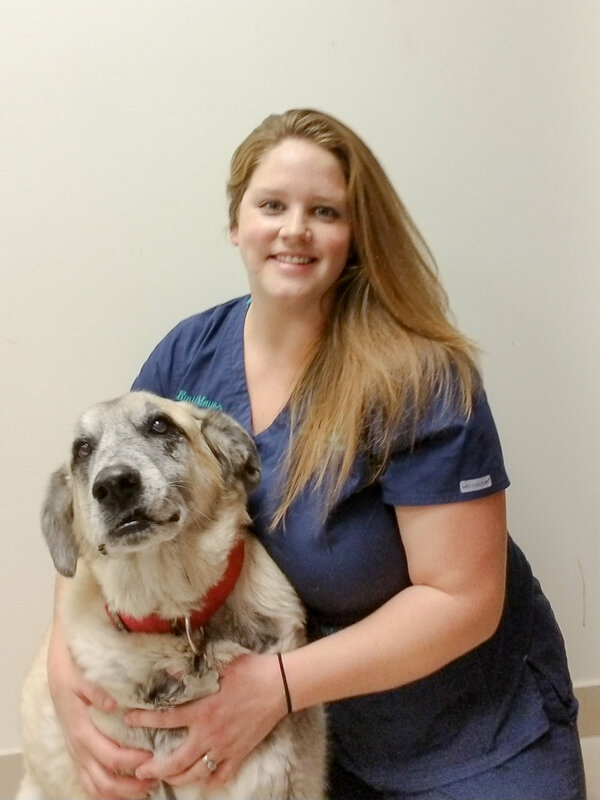 She truly believes that every animal deserves exceptional veterinary care regardless of being homeless. Mazie’s Mission is named after Dr. Shults’ dog Mazie. Mazie was her very first shelter dog, and they developed a bond that was uncanny. She also developed many diseases over her lifetime including hypothyroidism and Cushings disease. Dr. Shults was treating both quite successfully until Mazie was diagnosed with lymphoma on Dec 23, 2009. Chemotherapy was attempted but discontinued when she deteriorated. She was put to rest in April 2010. We can not wait to see her at the bridge. Stay up to date with all the latest news and events from Mazie's Mission. Our quarterly newsletter is full of useful information for pet owners, fosters, and animal lovers of all kind. We will never share your information with anyone.